The external area and scenery of this property invites you to relax and disconnect. At an amazing porch, you can prepare delicious barbecues with your dear ones. If you want to have some fun without going outdoors, you dispose of a ping pong table, two rackets and some balls. 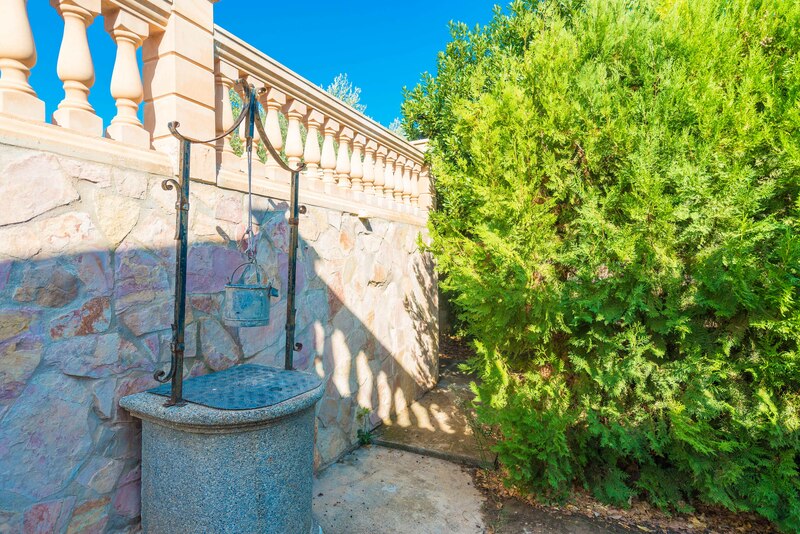 Just a few steps separate you from the lovely chlorine 8x4m swimming pool, with a depth of 1.75m. A very nice area with swings is the perfect place for the little ones. There are neighbours at the area, but the house is fenced. This modern house disposes of everything you need during your stay. The comfortable living room with a satellite TV is open to the dining-room. You can prepare your favourite dishes at the gas equipped kitchen. After a long day out, you will love to rest and dream at the bedrooms, three of them with a double bed and one with truckle bed. Also, one of the double bed bedrooms has A/C and a bathroom en suite with a bath. A second bathroom with a shower gives service to all the house. The house disposes of up to four fans and three radiators. If you travel with your baby, we will provide you a cot and a high chair under request. Obviously, there is a laundry area with a washing machine, an iron and an ironing board. 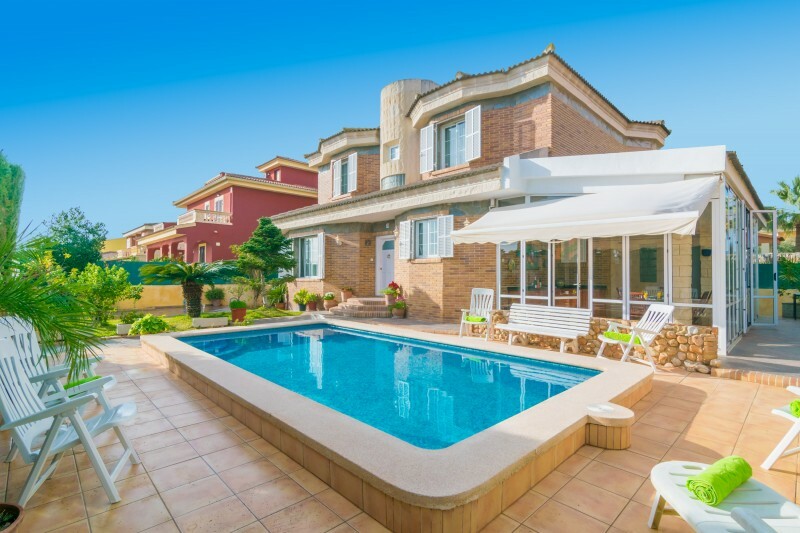 Located at a residential area at Marratxí outskirts, near Palma and Serra de Tramuntana, this house is perfect for whom like either the city or the rural life. Palma is the capital, very beautiful and charming, where you will find all the necessary services as well as a very lively area night and day. During the day, you can have a nice walk and visit the center, the legendary Cathedral, La Seu or the beautiful Castell de Bellver castle. At night, you can have a tasty dinner at one of the many tapas bars and then a drink at a pub or a disco. By car, you can get to idyllic beaches or visit close villages like Esporles or Valldemossa. For additional fees please contact the advertiser. Pets and events celebrations are not allowed. Remember that the well water is not potable. La confiance des propriétaires, la piscine est super. The pool was great, a great welcome basket of fruit, coffee, wine and sweets for the children. The villa was clean, and comfortable, great kitchen. This villa is ideal, although quite far away from the city it was still a fab experience and taxis cost about 10 euro to Palma! Hosts were lovely. Thanks again for a wonderful and memorable stay!